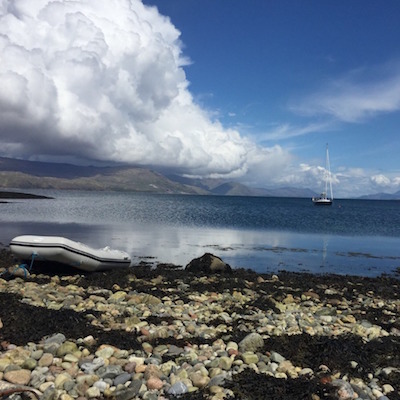 Sailing through the Sound of Islay to Loch Tarbert on Jura which offers an interesting cruising area itself with several anchorages and interesting walks ashore. Colonsay could be the next stop and hiring bikes from the hotel to explore the island and the see the breakers at Killoran Beach and the famous gardens at Colonsay House. Across to the Ross of Mull where there are some great beaches and interesting history especially at Erraid used as a base when building Dubh Artach lighthouse in 1865.